Another week has passed and now it’s time for me to write another entry here. Today, I’ll be giving my two cents worth on organisational web2.0 strategies. Let the writing begin! So lately I’ve noticed more organisations and businesses using Web 2.0 to achieve their goals. Almost every company is now interacting with their customers through blogs, social media, and even custom apps. A good example of companies using social media would be the local café, Campos Coffee. Recently, they posted their team’s trip details to coffee farms on Facebook. This provides their coffee-loving customers to with inside scoop of what’s going on and also keeps them excited on the upcoming coffee beans that would be soon available in stores. 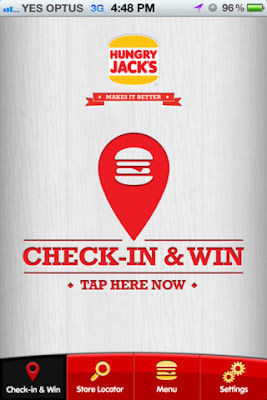 Besides that, Australia’s iconic fast food chain, Hungry Jack’s has also developed a custom app which awards their customers with discounts upon check-in at Hungry Jack’s with their Facebook account. 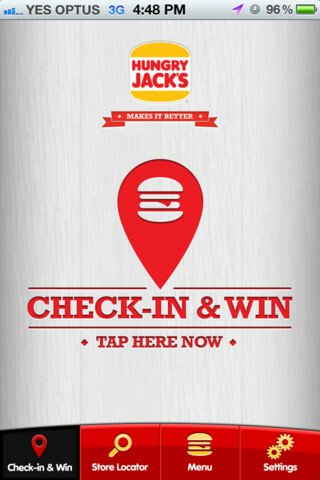 A post would then appear on their customer’s Facebook wall telling all their friends about their visit to Hungry Jacks. Another secret for organizational success through Web2.0 is through customer involvement and crowd-sourcing. Further strategies of this was discussed in the book “Wikinomics: How Mass Collaboration Changes Everything”, where the authors introduced a new business model that stresses on Peering, Being Open, Sharing, and Acting Global. To illustrate, I'll use two examples of companies we all love. A few months back, the famous ice cream brand, Ben and Jerry's, held a competition to look for new models for sustainable business which will help make a difference in communities. They exercised peering (collaborating with individuals and other corporate partners) and came up with great business models to make this campaign a success. They were also being open by acknowledging that others outside of the organization can assist them in reaching the community and outsourcing these jobs. The contest is now in its final stages with the top 15 being chosen. Apart from that, world-renowned soup company, Campbell, invited the public to make a video advertisement for them last year. The company had no problem sharing their music track with the public which must be included in the contestant's video entry. Campbell has also acted global by opening the competition to anyone. This attracted a wide variety of creative entries from people all over the word. The high level of customer involvement caused this campaign to be a huge success. Considering that now almost everyone is doing it, those who choose not to use these Web 2.0 tools to engage their customers would be planning for their own doom and soon be left eating their competitors dust. Well that's all for this week. Hopefully what I've discussed here would be able to give you some insights on organisational Web 2.0 strategies. As usual, feel free to comment and let me know what you think. See ya! I really like your post! These exemples are really easy to understand and you chose companies that anyone can relate to which helped keeping me interested in your post. However, a piece of advice would be maybe to explain a little bit more some technical words such as "crowd sourcing" or "peering". For a newbie like me in the field of enterprise 2.0 these words are brand new and I had difficulty to fully understand their meaning. Hope to read you again soon! Hey ben , read about it , nice and clear . Just perhaps the last point , I would actually say that Ad Competition doesn't work well in all places , have to consider the demographics of the region . Example , Nuffnang Malaysia didn't work well in Australia here coz businesses here do not practice promoting their strategies much through third-party blog writing . Hope to read more from you soon . That's true. But perhaps they should "Act Global" and reach out to those who are willing to participate. I really like the example of Ben & Jerry's. I think it works well to highlight how the Web 2.0 framework works to provide valuable outcomes from participation. However, In the context of their brand, what do you think they were trying to achieve in running this competition? Well I guess its more of a publicity stunt, showing the world that their business (Ben & Jerry) actually cares about the community and environment. Ben, good to see your point of view to the web2.0 with organization, beside I like almost every reference or sample you gave within the post, it make sense that web2.0 are really help organization to increase their business. anyway I really hope to enjoy your next post then.. Good luck all the way.